Once you step into AEON mall, which is seen to be a big teenager hang out spot, you will be amazed of many famous brand shops and delectable restaurants from local and international brands especially from Japan. Additionally, you might want to try out the originated brand from that Japanese-financed Mall and It will be hard for you to choose where to have your breakfast, lunch or dinner since there are numerous of Japanese brand restaurants. However, Don’t Worry! I have come up with the review on one of the most famous Japanese restaurants in order to ease your decision-making. Unlike other Japanese Restaurants, Miam Miam Cambodia is a combination of French Artisanal Cuisine & Techniques with the traditional Japanese preparation and cooking arts. It is located on the 2nd floor in the middle of the mall. 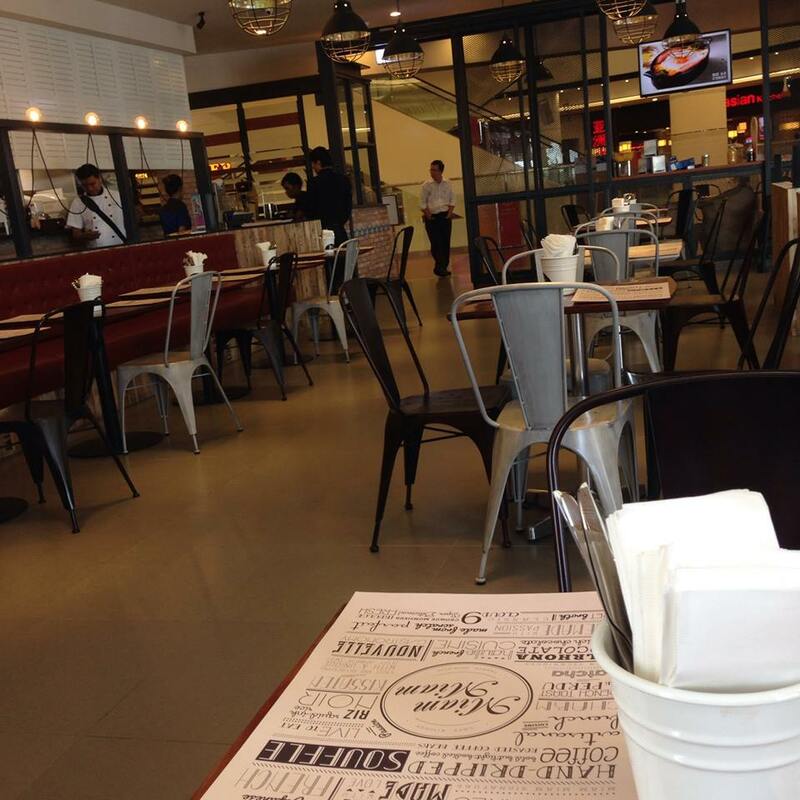 You can easily find this restaurant because of its large space. Once I step into the restaurant, I was greeted by the friendly staffs with French language which was, “Bonjour!” When I first heard this, I felt like i was in Paris lol. What I first like about this restaurant is the good arrangement of the seats that keeps wide space from each table, which allows customers to comfortably sit having their meal and a good private discussion. The tables are decorated in French style with the beautiful lights on the wall. Moreover, there are big tables for group discussion or family meeting and also the tables available to serve for couples. The atmosphere is quite good accompanying with the romantic and sweet music along. One more thing I like about it is the design of their menu, which is very cool and unique featuring their signature dishes and drinks. The thing I like the most about Miam Miam is the food must be done freshly which allows the customers to get the best taste of it. Moreover, I was told that the ingredients are originally imported from Japan; therefore, all kinds of food are guaranteed to be the same as the original flavors in Japan. 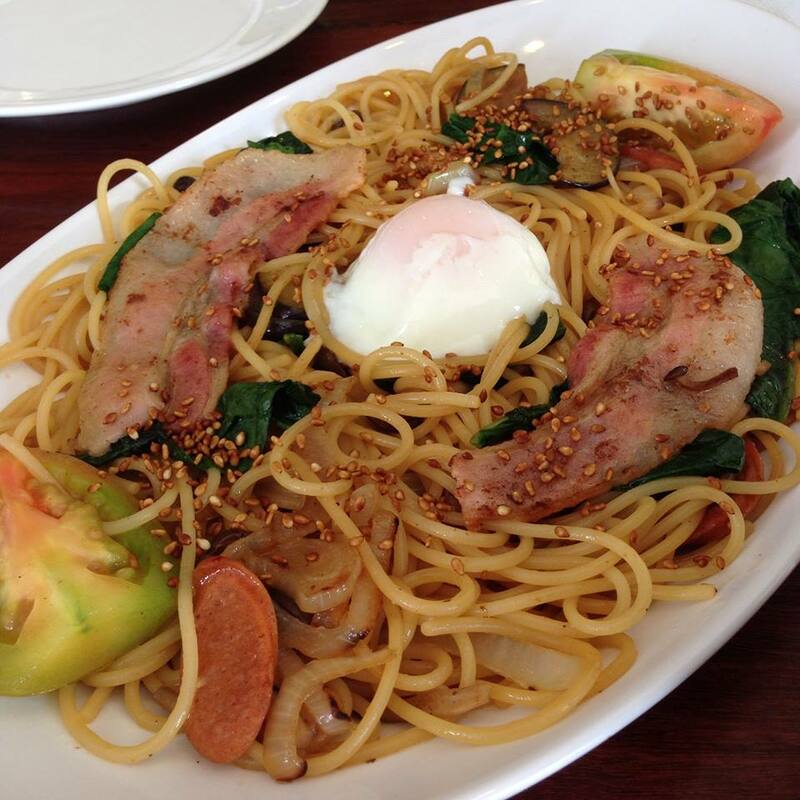 Miam Miam was just opened in the middle of this month, yet there are many supports from both local and foreigners. 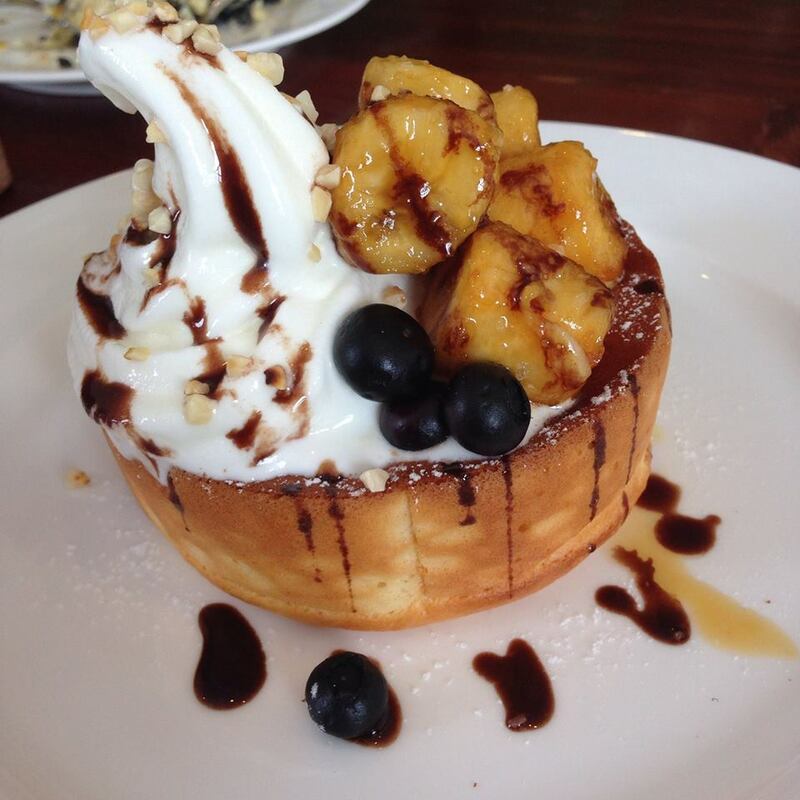 It serves special dishes of traditional Japanese and French cuisine, drinks and cakes. 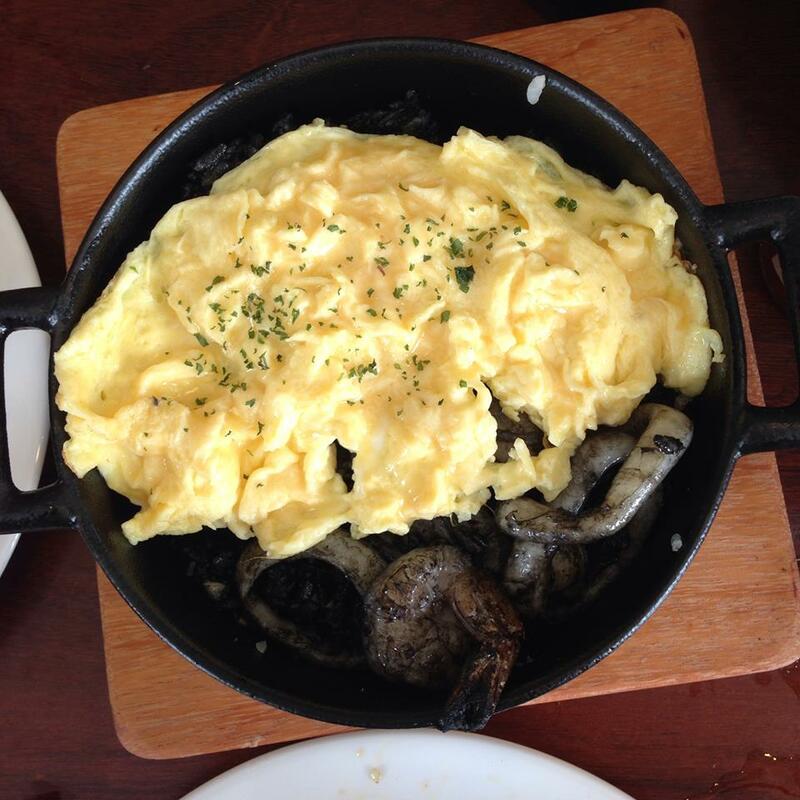 Squid Ink Rice with the assorted seafood is one of the signature dishes in the restaurant. It’s quite unique from other food because of its color. As you can see in the picture, the rice becomes black because of its imported squid ink from Japan. The rice was very well cooked with the unique taste of the ink from the squid and its delicious ingredients. To be honest, I can say that I’ve never experienced this kind of food before, yet it really attracted me to the max. I cannot stop eating till the last crop of rice. The second dish was the Miam Miam Spaghetti, which is my favorite food of all time. I used to eat spaghetti in other restaurants, they all tasted the same, but when it came to this one in Miam Miam, it was totally different. The mixture of the yolk made the Spaghetti tastes even greater. The plate is quite big that you can share with 2 people. The mushrooms and the bacons are also a good match with the spaghetti. It was super duper delicious. After finishing the signature dishes of the restaurant, here come to another different taste which were the French style Caramelized Banana Pancake. Just take a look of how it was well prepared, I was already drooling. I highly recommend this to whoever love cake and ice-cream, you gotta try this !! 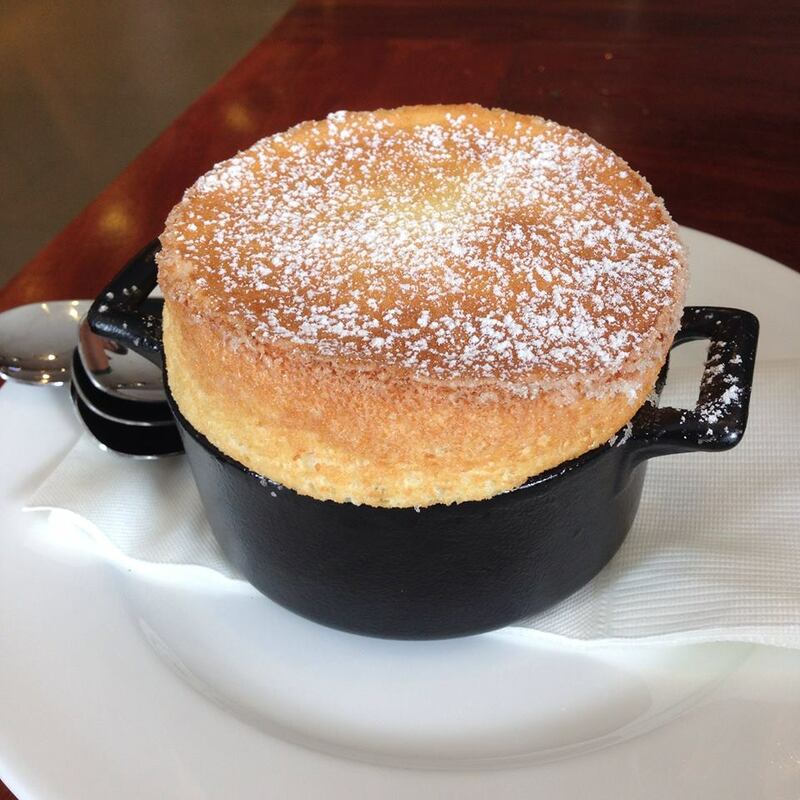 Another important dessert that you cannot miss is the Vanilla Soufflé . It is fresh-from-the-oven and once you eat, it will be melt-in-your-mouth and fluffy-in-the-middle. Anyway, this dessert should be eaten immediately after it is served before it sinks down and destroys its shape. 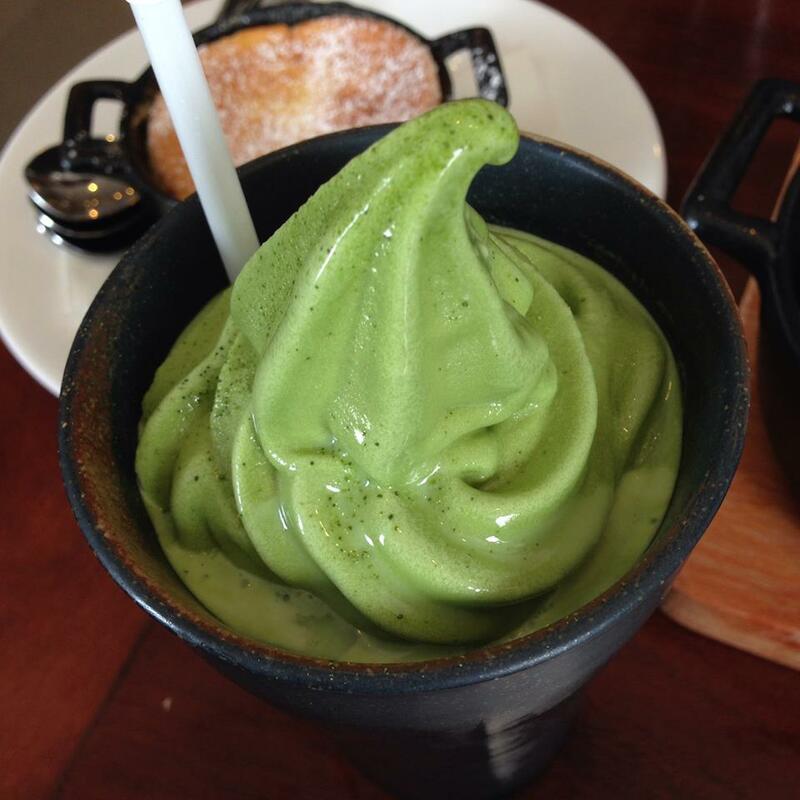 For the drinks, I recommend you to try out the green tea, which you can feel the good smell of the green tea leaves and plus it is good for your health. It makes your meal even more enjoyable. I guarantee that it will taste much different from other green tea and you will beg for another cup. Green Tea, my favorite drink ever !! !